**Firmware upgrade can also be performed at no additional cost! Utilizing a newly developed PureChrome cinema filter and optical modifications, the THEO-Z65 reaches new heights of color and black level performance. 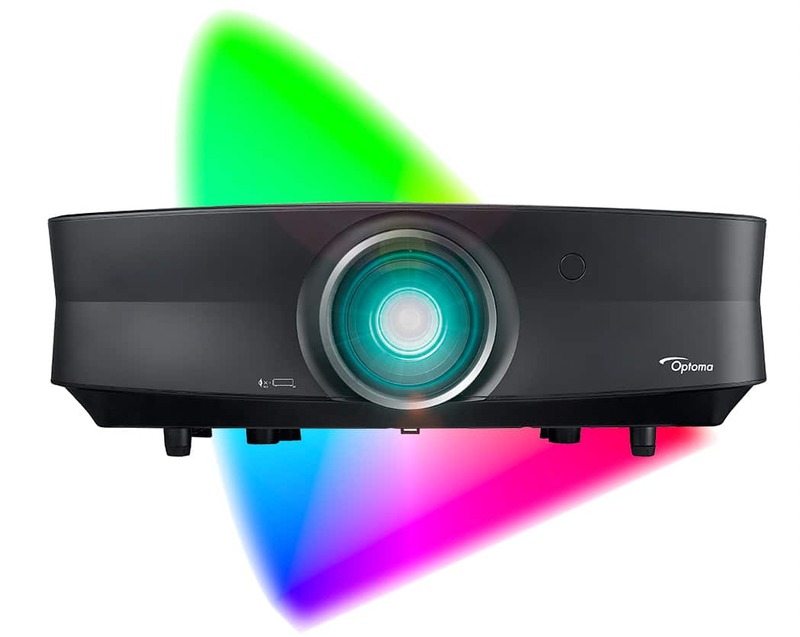 The laser light engine provides outstanding brightness and stable color over long periods of time and without the usual drop off of light output like conventional lamp-based projectors. Available as a new modified projector, or as a retro modification to existing UHZ65 projectors. Vastly improved wide color gamut, up to 80% of BT2020 for dramatically vibrant images. Each projector is re-calibrated with settings for REC 709, DCI-P3 Cinema, and BT2020 for HDR. Improved black level performance for deeper low level blacks and more dramatic contrast. Improved color sharpness and reduced chromatic aberrations through the lens. Native 4K UHD 3840 X 2160 pixels delivered to the screen for fine details and excellent sharpness. Electronic presets and image processing to support widescreen 2.4:1 aspect with or without an extra lens. Switchable PureMotion technology eliminates noise and motion blur for sports and live action content. HDMI 2.0 and HDCP 2.2 deliver a full 18Gbps for the best 4K UHD video bandwidth and image quality.